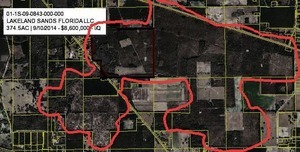 Thousands of acres of agricultural land in WWALS’ watersheds have been bought in recent years by investors from the west coast, the most by Bill Gates. This is part of a nationwide buying spree in which Gates has bought upwards of 250,000 acres nationwide. On WWALS’ 2015 Goals, number 12 is: “Raise awareness about corporate agricultural land acquisitions and practices as they affect WWALS watersheds and the Floridan Aquifer”. The most recent posts may be found by searching for Bill Gates. A summary of WWALS research up to July 2015.